Zoe Nelson’s paintings embody a sense of fluidity. Colors move from highly saturated pigment toward a liminal state, like a crepuscular sky, when all colors converge at once, canceling each other out. Shapes move into and out of recognizability: an abstract form becomes architecture becomes a fragment of a body, shifting from background to foreground. Zoe Nelson, too, embodies a sense of fluidity. Nelson’s relationship to their gender exists outside of the normative male/female binary. They use the formal language of painting to visually traverse through the feeling of their identity as neither one nor the other, and sometimes both at once. This is Nelson’s first solo exhibition in greater New York. Their work was recently acquired by the DePaul Museum, Chicago. Nelson (b. 1983, Rhinebeck, NY) received an MFA from Columbia University and lives and works in Brooklyn, NY. The inaugural show, Zoe Nelson, Body Building, opens December 1, 2018. The 2018-2019 exhibition program includes a show of large-scale works on paper by Athena LaTocha, whose work is currently on view at Crystal Bridges Museum of American Art, and a presentation of new works and site-specific interventions by New York-based artists Mark Barrow & Sarah Parke. The Ice House is a former industrial building in Garrison, NY, built in the 1920s. The building sits within a compound of structures once occupied by the staff and laborers who maintained the estate. 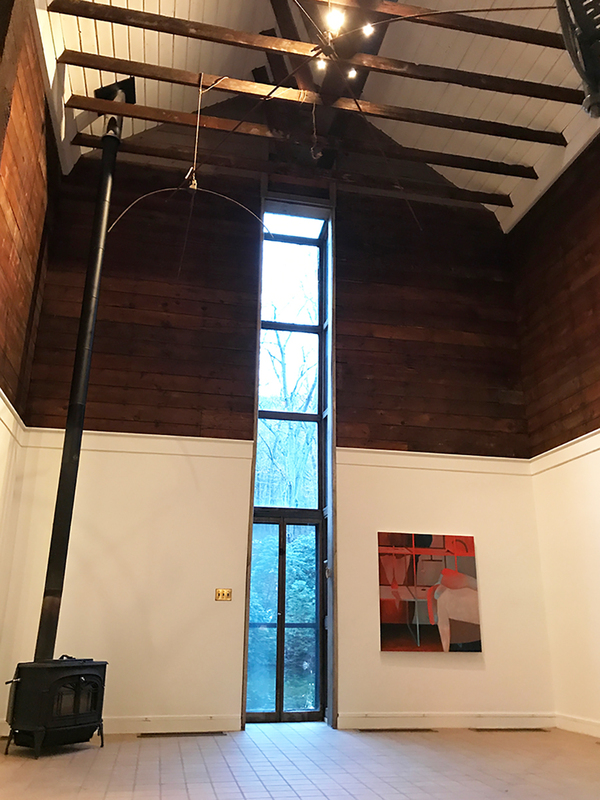 The Ice House is located in just over an hour from Grand Central on the Metro North railroad, easily accessible by train or car from New York City, and nearby several museums, including Dia Beacon and Magazzino Italian Art. For more information and to visit, please contact jayne@jdj.world.